Map by Evan Centanni, modified from public domain graphic. Visit our Commonwealth of Nations page to check for newer versions, or contact us for permission to use this map. Last month the Republic of the Gambia was accepted back into the Commonwealth of Nations, a club of countries that were formerly part of the British Empire. The tiny West African country left the organization in 2013 under pressure from other members to improve its democracy and human rights record. Map by Evan Centanni. Contact for usage rights. Last year we reported on how the Gambia, a tiny country located along the banks of a river in West Africa, had changed its official name at the UN. The country's maverick dictator had decided in 2015 to switch from "Republic of The Gambia" to "Islamic Republic of The Gambia". 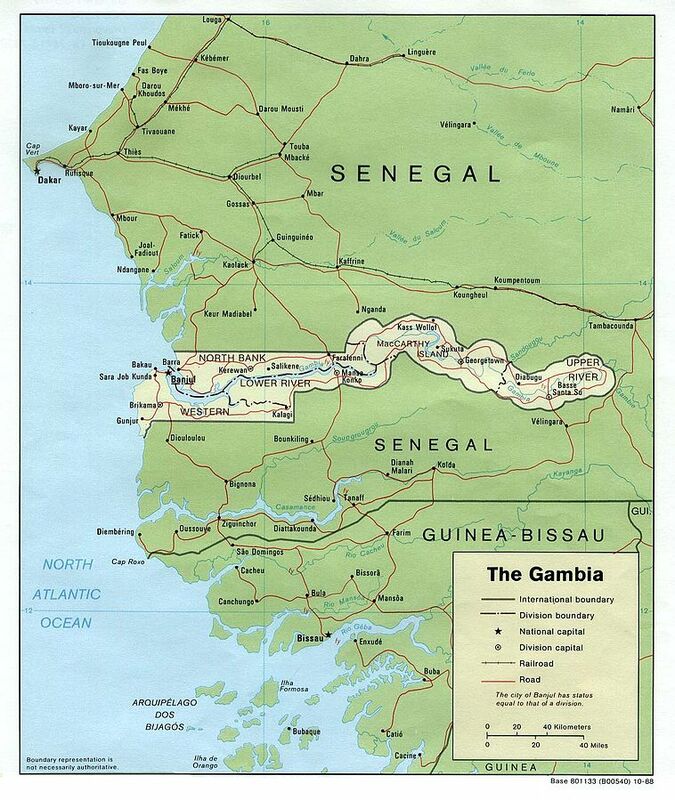 If you read our review of world political geography changes in 2015, you might remember a brief note on the official name of the Gambia, a tiny country located along the banks of a river in West Africa. Last December, the Gambia's maverick dictator decided to declare the country an "Islamic republic", a designation that can have various meanings and is used by four other countries in the world. At the time, at least one regional news source claimed that the country's official name had indeed been changed from "Republic of The Gambia" to "Islamic Republic of The Gambia". But for a country's name to be formally changed, its government normally has to pass a law or at least issue some kind of proclamation, and at the time it wasn't clear whether that had actually happened. "In case you missed it" - this is an article featuring news we couldn't cover when it first broke, but that we thought you might still want to know about. Those who read our article on the year 2013 in political geography changes already heard about the Gambia's withdrawal from the Commonwealth of Nations - now here's the full story. The Commonwealth of Nations. Current members in dark blue, former members in lavender. Map by Evan Centanni, modified from public domain blank map.